When you are dealing with hearing loss issues, being able to turn to an audiologist you can trust to provide you with thoughtful treatments can bring you peace of mind. At Associates of Audiology, our doctors are here to help you with innovative testing methods that can allow for us to pursue the best course of treatment. Working with audiologists means you are working with actual doctors, not sales people just trying to get you to buy a hearing aid. Whatever your age, our team is here to make sure you have access to outstanding audiology care which is why we accept all insurance. 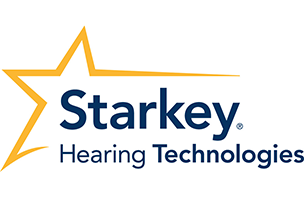 Learn more about how our San Antonio and Hill Country hearing aid and audiology services by calling us at (210) 880-0912. Dr. Bledsoe & Dr. Davis are proud of their ability to serve patients. Our independently owned facility allows us to accept all insurance. We take the time to understand your concerns and needs. Our team of doctors at Associates of Audiology cares about our patients. That is why we have dedicated ourselves to providing you with care that is affordable and focused on helping you have a better quality of life. Since we are independently owned, we are solely responsible to our patients. This gives us the freedom to be focused entirely on your care and to make sure you get the right treatment.